Compact, two-in-one specialty tool removes the firing pin spring pin, plus the hammer mainsprings on your P250 pistol. Features an elliptical tip for pushing on the firing pin spring pin without flattening the head, plus a concave tip for the safe, controlled removal of the hammer double mainsprings. 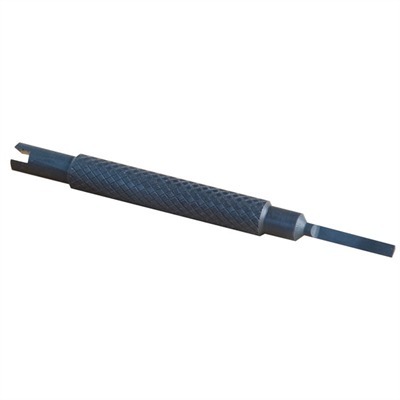 Precision machined from steel bar stock, then hardened to Rc 52 for added strength. Small enough to fit in your pocket, range bag, or armorer's kit. Mfg: K And C Barrels SPECS: Steel, Rc 52 hardness. 3 1/2" (9.5cm) long x 5/16" (8mm) diameter handle.